On a Sunday afternoon in fall 2017, Howard Levitt arrives for a taping of his Newstalk 1010 radio show with his usual panache: pulling up in his iceblue Ferrari and rushing into the studio, brimming with energy. Dressed in a leather moto jacket, slim jeans and silver sneakers, he could be mistaken for a nightclub promoter. But once the microphone is turned on, there’s little doubt about his occupation. There’s much he wants to discuss on this week’s Employment Law with Howard Levitt, most notably Harvey Weinstein’s ouster from his eponymous production company. Ever since the news broke of sexual harassment allegations and a subsequent cover-up, Levitt’s office has been flooded with calls from the media seeking comment and corporate clients worried a similar scandal could embroil their own firms. With the workplace more politicized than ever, no one is shaping, or capitalizing on, the fraught atmosphere more than Levitt. In the months that followed the Weinstein revelations, as high-profile actors, newscasters and executives lost their jobs and reputations amid charges of sexual harassment, Levitt and his colleagues at the 13-lawyer Levitt LLP made scores of media appearances—especially the three female partners, Muneeza Sheikh, Sunira Chaudhri and Tatha Swann. Early this year, Levitt watched proudly as Swann, the firm’s managing partner, sat front and centre during the press conference announcing a lawsuit four actors were filing against Canadian theatre luminary Albert Schultz and his Soulpepper Theatre Co.
Levitt doesn’t mind bragging about his firm’s achievements. “We have the biggest practice in employment law in the country by far, the biggest set of corporate clients, the biggest billings,” he says. Some in the employment bar contest those claims, although Levitt’s stratospheric fee (starting at $985 an hour) makes credible his claim that his firm’s lawyers average over $1 million a year in billings. Those billings have risen dramatically in recent months, as corporations seek advice on how best to curb behaviour that may once have been waved off as “boys being boys.” The Human Rights Legal Support Centre reported a 48% spike in inquiries about sexual harassment in the first two months of this year compared to the same period in 2017, and statistics show that as many as half of all women have experienced sexual harassment at work. The Me Too movement has blown the doors open on misconduct in corporate Canada, forcing employers to aggressively address allegations. “There’s been a sea change,” says Levitt. “Companies are saying, ‘Our brand is more important than this particular employee’s fate.’” Yet one workplace where allegations of toxic behaviour have arisen is the one you’d think would be most sensitive to the zeitgeist: Levitt’s own firm. 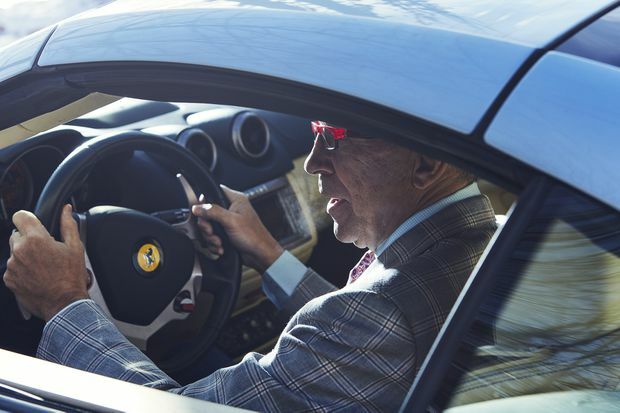 Levitt at the wheel of his Ferrari California. Five years ago, Howard Levitt made headlines of a different sort after a torrential rainstorm left Toronto deluged. While racing to the downtown airport, he drove his ice-blue Ferrari California into a flooded underpass and submerged the car in storm-sewer water. Undeterred, he abandoned the vehicle and hailed a cab. The next day, wearing the same suit in which he had waded through filthy waist-high water (he rinsed it in the shower and dried it with a hair dryer), Levitt arrived at his hearing in Ottawa and won the case. The story of the crazy lawyer and his scrapped $250,000 whip went viral on social media, and Levitt turned it into a master class in branding, obligingly submitting to media interviews to explain why he’d been in such a rush. Settling into a leather club chair, he shares exciting news: He has just been retained by Lindsay Shepherd, the teaching assistant at Wilfrid Laurier University who has been accused of creating a “toxic environment” for transgender people after she showed a video clip of controversial professor Jordan Peterson (another of Levitt’s clients) during a tutorial. The two connected after Levitt voiced his support for her in a television interview. Students aren’t Levitt’s typical clientele, but the international uproar over Shepherd’s treatment made the case too tantalizing for him to ignore, especially given his own history as a student activist. Levitt grew up in Hamilton, Ontario, the eldest of four children of a prominent Jewish couple. His father was an avid athlete, but Howard showed no interest in sports, instead channelling his energy into left-wing politics. In Grade 12, he organized a walkout in support of girls having the right to wear pants to school. The rally drew more than 1,000 students and resulted in Levitt’s temporary expulsion. After being called to the bar in 1979, he took a job as a labour lawyer at Imperial Oil. A new branch of employment law, called wrongful dismissal, was just emerging, covering grounds for termination and how much employers should pay dismissed workers. The prevailing practice was for the parties to agree to a settlement—typically less than six months’ pay—and for the employee to nevertheless file suit to make it non-taxable, says Levitt. “They would then settle the next day for exactly what was agreed to.” Taking serious legal action against the employer was considered taboo. Levitt began writing articles for a legal trade publication. Though still a greenhorn, he started getting invited to speaking engagements, and his articles ended up being quoted in judgments. So Levitt decided to write a book on wrongful dismissal. For over two and a half years, he spent his nights sifting through decades of notes and judgments from thousands of cases. The Law of Dismissal in Canada, published in 1985 and now in its third edition, was often cited in dismissal cases. “I knew it would solidify my career, and it did,” he says. After Imperial Oil, Levitt spent time at two now-defunct firms before starting his own shop, Levitt and Associates, in 1985. “I make a terrible employee,” he says. “I’m not good at taking orders.” He soon found his way into the spotlight. One of the first cases he argued, in small-claims court, involved a demoted maître d’. He won, and the case was prominently featured in The Globe and Mail. An even bigger profile builder was a wrongful dismissal lawsuit filed by Betty Stone, which helped spark a public investigation into illegal political contributions to the Ontario Liberal Party and its campaign fund. The scandal—dubbed the Patti Starr affair, after the former chair of Ontario Place was convicted of fraud and breach of trust (she was later pardoned)—landed Levitt on the front pages of newspapers across the country. That triumph brought Levitt to the attention of major corporations, but his aggressive behaviour in court started to leach into the office. In the late 1990s, he’d decided to close up shop—with seven lawyers on staff, he couldn’t keep up with the administrative work, he says. So the self-proclaimed “terrible employee” went to work for Lang Michener (now McMillan LLP). In 2010, an employee sued Lang Michener, alleging harassment and discrimination by Levitt. She said in the suit, which was eventually settled, that she continued to deal with medical issues resulting from working at the firm. When Lang Michener merged with McMillan in 2011, Levitt did not go along. Instead, he started his own firm again. “I got most of my early clients by beating them [in court],” Levitt brags. Those for whom he got results referred him to others. For example, Ted Rogers introduced him to J.R. Shaw, who introduced him to Peter Bissonnette, then an executive at Shaw Communications. While Levitt LLP has something of a specialty in media and communications, it also represents the likes of the Business Development Bank of Canada, The Co-operators, CPA Canada and Italpasta. “I can’t remember ever losing a case with Howard,” says Bissonnette. 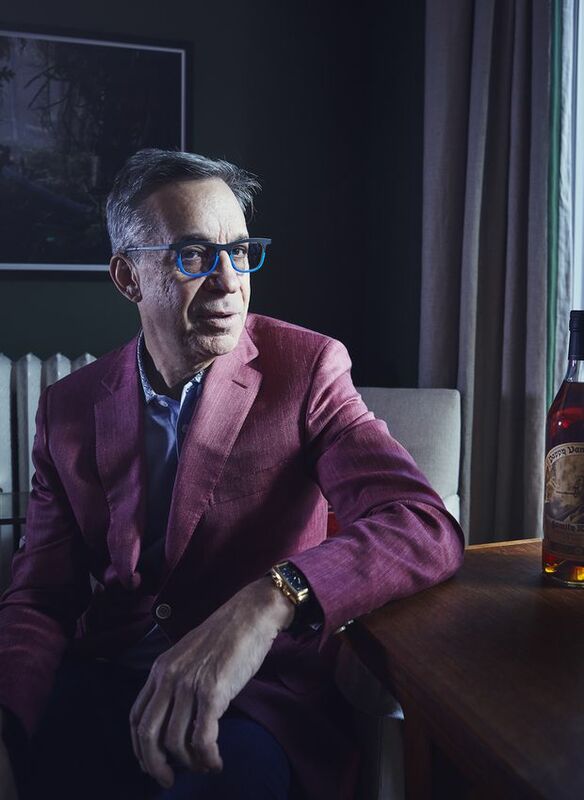 Levitt at home in Toronto with a bottle of rare and expensive Pappy Van Winkle bourbon. How Levitt scores those wins can be controversial. He is adept at skewering his opponents and demoralizing their clients. Consider his handling of a case last year, in which his client, an Alberta company he can’t name for confidentiality reasons, was being sued by a former salesman for wrongful dismissal. The company had refused to pay the axed employee a roughly $400,000 severance, claiming he violated the terms of his contract by trying to poach the company’s clients. In another case, Levitt was acting for Corus against a female complainant. “He really pillaged her,” recalls Hal Blackadar, the company’s former head of human resources. “She came up to him as we were leaving the courtroom and said, ‘You were awesome. I wish you were my lawyer.’ “ Edmontonbased lawyer and arbitrator Len Dolgoy recalls an adjudication involving Shaw where the aggrieved party arrived with no counsel. Asked why, the man said that once lawyers learned they’d be facing Levitt, none would represent him. While his persona may intimidate, it is his dogged research that wins him respect. “He doesn’t grandstand—he’s just so well-prepared,” says Dolgoy, who has arbitrated hearings involving Levitt. “The opposition doesn’t stand much of a chance.” Levitt digs into an opponent’s background and work history, using the information to sketch out a narrative of their motives. “That’s what I am best at: having a nose for what’s probably there,” he says. That was how Levitt won Rogers Communications’ business. As he tells it, the company was in the throes of a lawsuit stemming from a dismissal, and the lawyer it had retained—a former classmate of the founder—wanted to settle. It just so happened that Levitt had faced the plaintiff in a hearing for a different client. Under oath, the man said he had not worked a single day since being fired by Rogers, which Levitt says was a lie. He informed Rogers executives, and the company asked him to take over the case. He found five examples of termination for cause in the man’s employment history, and several lies and infractions. In the 35 years since, Levitt has not lost a single case for Rogers. Levitt has no patience for niceties. “Good litigation is active and engaging,” he says. “If you can get a judge to emotionally identify with your client, you’re going to win.” And while his firm settles more than 90% of its cases out of court, he rails against advocates too quick to jump at a settlement. Some of his former employees may beg to differ. Levitt has been vocal about workplace bullies and harassment enablers: In a National Post column last year, he urged employers to establish “a policy based on respect and dignity, wherein management commits itself to respectful treatment of staff.” Yet, we received a dossier containing dozens of emails, some going back years, between former administrators, associates and partners concerned about Levitt’s treatment of staff, from tirades that left administrative workers crying to blow-ups so loud they could be heard throughout the office. Two employees report suffering panic attacks after run-ins with Levitt. Most of the almost three-dozen former employees we contacted declined to comment, some due to non-disclosure agreements, and a handful would only speak off the record for fear of legal reprisal. However, at least two former employees have filed lawsuits against Levitt. In one claim, dating from spring 2016, Theda Lean, a former bookkeeper at Levitt’s firm, alleged he was a “bully” who was “unceasingly uncivil” and created “a poisoned environment at a workplace, causing tension, fear and anxiety.” Levitt, in turn, accused her of overbilling and fraudulent activity. The suit was later settled. In 2015, Howard Sloan, a partner at Toronto’s Goldman Sloan Nash & Haber (GSNH)—a firm with which Levitt used to share office space—barred him from entering the premises or communicating with most of the firm’s staff after he allegedly frightened an administrator. “I cannot in good conscience allow you to assault and terrorize my staff in the way you have become accustomed,” Sloan wrote. Levitt says it was a misunderstanding—he had shown up at the wrong place for a meeting, and was banging on the office door and calling the administrator’s name, trying to get her attention, adding the whole thing was resolved within a couple of days. We contacted two GSNH employees Levitt suggested could confirm his story, but they did not respond. While many employers have become more vigilant about abuse of power in any form, it is sexual misbehaviour that is the top focus. And three years before Weinstein, Canada had its own celebrity case that, in some ways, highlighted the challenges around workplace misconduct more vividly than the Hollywood saga. CBC radio host Jian Ghomeshi was accused of sexual assault in his private life and of sexual harassment at work. At his criminal trial, his accusers’ testimonies and characters were tarnished under cross-examination. Ghomeshi was found not guilty. The verdict outraged many, but Levitt believes they missed an important point: The CBC employees who alleged sexual harassment were not the same women behind the criminal charges. And Ghomeshi did lose his job. Reports of his violent sexual experiences damaged the CBC’s brand, Levitt observes. “And there is a monumental difference between criminal sexual assault and sexual harassment of a subordinate in the workplace.” In the civil process, all evidence is presented at a discovery hearing, so neither the complainant nor the accused can be thrown any curveballs at trial. But the most important difference is that in civil court, accusers only need to prove that sexual harassment likely happened, not the higher standard of beyond reasonable doubt, as with Ghomeshi. Not surprisingly, Levitt advocates the civil process to prosecute harassment claims—which is what is happening with the four women suing Albert Schultz and Soulpepper. Even without a criminal conviction, the Ghomeshi case put employers on notice about the potential fallout if they let harassment allegations fester. In recent months, Sheikh has conducted numerous sexual harassment forums for clients, and the firm gets many calls from companies seeking advice on how to handle accusations. Levitt’s recommendation: “Ask the leadership team, ‘Is there something you have done in the past that could be embarrassing if it came up now?’ “ If an executive fails to disclose an incident, the lie can be cause for dismissal, he says. Conducting policy reviews and investigating workplace allegations has become a “cottage industry” for employment lawyers, says Levitt. He thinks such independent probes are mostly ill-advised because HR departments are better positioned to investigate complaints, and conducting an independent probe often costs more than giving someone a pink slip and a package. Many companies concerned about bad publicity and potential liability opt for that route, simply removing an accused staffer without bothering to confirm the charges. “Now they’re saying, ‘We’re terminating him, no questions asked, and then we’ll decide if we pay him [compensation],’” says Levitt.